Is your desk always cluttered with messy paperwork? 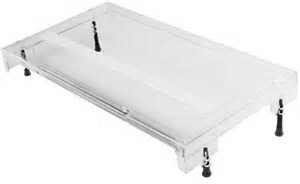 If so, the Elvar Document Holder with Desk Clamp can secure your documents while also freeing up valuable desk space. 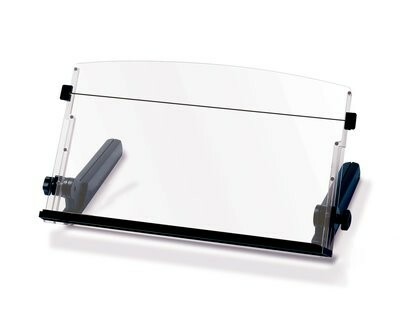 The document holder can easily be attached to the back of a desk with a desk clamp. The Elevar Document Holder is capable of holding two A4 sheets and one A3 sheet (clipped to the bottom) at once. The ‘goose neck’ design of the document holder lets you position the device at a position most comfortable for you. The easel size has dimensions of 300 mm wide x 225 mm high.